I'm a native Texan. I knew I wanted to be a veterinarian when I was 3 years old. I was a National Merit Scholar at Memorial High School (Houston), and earned 3 degrees from Texas A & M University. My patients deserve, and get, the same quality of care and attention expected of a top flight physician. A crucial part of this caliber pet care is informing the clients of the options available. I use a combination of tried and true techniques with the latest in diagnostic equipment. I attend classes, workshops and seminars that not only enhance my technical skills, but my evaluative skills as well. Being the senior practitioner in a large practice has allowed me to treat all kinds of patients with all kinds of problems. 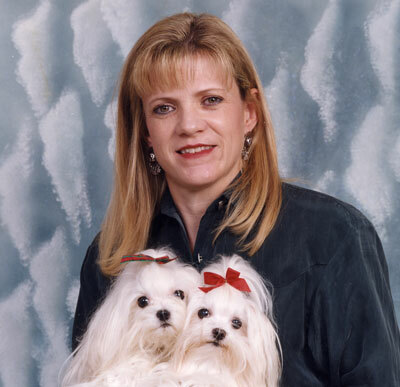 As a active showdog breeder/exhibitor since 1978, I've always had a special interest in allergies, skin and coat-care, and reproduction. Through extensive reading, continuing education, research and constant use, these special interest areas have evolved into a major part of my practice. I see new dermatology patients for a second opinion on a daily basis. I work with a wide variety of top breeders, helping them solve their dogs' reproductive issues. I raise and show AKC Champion Norwegian Elkhounds, field trial and show AKC Champion German Shorthaired Pointers, have	three	of	the	cutest Maltese dogs	you've	ever	seen,	a	wonderfully	wild	outdoor	cat, three	horses,	and a pond full of pet Japanese Koi. Feeding time is really	something! As with all my associates, I stay in touch with the profession through regular meetings and activities. Peers are an invaluable source of new information.